Enseignement: responsable du stage "Computer Skills for Biological Research" avec J. Nunes. Participe également au séminaire de méthodologie de la recherche en Biologie et au stage de Génétique Moléculaire des Populations, ainsi qu'aux cours de Biologie Humaine et Evolution, Préhistoire et histoire précoloniale de l’Afrique. Encadrement d'étudiants: supervise des étudiants en master et en thèse. Recherche: mène différents projets de recherche en génétique des populations. 2019 Quilodran CS, Nussberger B, Montoya-Burgos JI, Currat M. Hybridization and introgression during density-dependent range expansion: European wildcats as a case study. Evolution. 2018 Silva NM, Rio J, Kreutzer S, Papageorgopoulou C, Currat M. Bayesian estimation of partial population continuity using ancient DNA and spatially explicit simulations. Evolutionary Applications, 2018 1-14. 2018 Branco C, Velasco M, Benguigui M, Currat M, Ray N, Arenas M. Consequences of diverse evolutionary processes on american genetic gradients of modern humans. Heredity. 2018 Nussberger B, Currat M, Quilodran CS, Ponta N, Keller LF. Range expansion as an explanation for introgression in European wildcats. Biological Conservation 218 49–56. 2018 Quilodran C, Austerlitz F, Currat M, Montoya Burgos JI. Cryptic Biological Invasions: a General Model of Hybridization. Scientific Reports, 2018, vol. 8, n° 1. 2017 Silva NM, Rio J, Currat M. Investigating population continuity with ancient DNA under a spatially explicit simulation framework. BMC Genetics vol. 18, no. 1, p. 114. 2017 Unterländer M, Palstra F, Lazaridis I, Pilipenko A, Hofmanová Z, Groß M, Sell C, Blöcher J, Kirsanow K, Rohland N, Rieger B, Kaiser E, Schier W, Pozdniakov D, Khokhlov A, Georges M, Wilde S, Powell A, Heyer E, Currat M, Reich D, Samashev Z, Parzinger H, Molodin V I, Burger J. Ancestry and demography and descendants of Iron Age nomads of the Eurasian Steppe. Nature Communication vol. 8, p. 14615. 2016 Broushaki F, Thomas MG, Link V, López S, van Dorp L, Kirsanow K, Hofmanová Z, Diekmann Y, Cassidy LM, Díez-del-Molino D, Kousathanas A, Sell C, Robson HK, Martiniano R, Blöcher J, Scheu A, Kreutzer S, Bollongino R, Bobo D, Davoudi H, Munoz O, Currat M, Abdi K, Biglari F, Craig OE, Bradley DG, Shennan S, Veeramah KR, Mashkour M, Wegmann D, Hellenthal G, Burger J. Early Neolithic genomes from the eastern Fertile Crescent. Science Vol. 353, Issue 6298, pp. 499-503. 2016 Hofmanová Z, Kreutzer S, Hellenthal G, Sell C, Diekmann Y, Diez-del-Molino D, Dorp L, López S, Kousathanas A, Link V, Kirsanow K, Cassidy LM, Martiniano R, Strobel M, Scheu A, Kotsakis K, Halstead P, Triantaphyllou S, Kyparissi-Apostolika N, Urem-Kotsou D, Ziota C, Adaktylou F, Gopalan S, Bobo DM, Winkelbach L, Blöcher J, Unterländer M, Leuenberger C, çilingiroglu C, Horejs B, Gerritsen F, Shennan SJ, Bradley DG, Currat M, Veeramah KR, Wegmann D, Thomas MG, Papageorgopoulou C and Burger J. Early farmers from across Europe directly descended from Neolithic Aegeans. Proceedings of the National Academy of Sciences USA, published ahead of print June 6, 2016. 2015 Currat M, Gerbault P, Di D, Nunes JM and Sanchez-Mazas A. Forward-in-Time, Spatially Explicit Modeling Software to Simulate Genetic Lineages Under Selection. Evolutionary Bioinformatics 2015:Suppl. 2 27-39. 2015 Jones E, Gonzalez-Fortes G, Connell S, Siska V, Eriksson A, Martiniano R, McLaughlin R, Gallego Llorente M, Cassidy L, Gamba C, Meshveliani T, Bar-Yosef O, Muller W, Belfer-Cohen A, Matskevich Z, Jakeli N, Higham T, Currat M, Lordkipanidze D, Hofreiter M, Manica A, and Pinhasi R & Bradley D. Upper Palaeolithic genomes reveal deep roots of modern Eurasians. Nature communication, 6:8912. 2015 Quilodran CS, Montoya-Burgos JI, Currat M. Modelling interspecific hybridization with genome exclusion to identify conservation actions: the case of native and invasive Pelophylax waterfrogs. Evolutionary Applications vol. 8, no. 2, p. 199-210. 2014 Quilodran CS, Currat M, Montoya-Burgos JI. A general model of distant hybridization reveals the conditions for extinction in Atlantic salmon and brown trout. PLoS one, vol 9 (7) e101736. 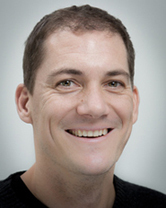 2014 Wegmann D, Currat M. Recipient of the 2013 Molecular Ecology Prize: Laurent Excoffier. Molecular Ecology, vol. 23(1), 16-9. 2013 Currat M, Silva NM. Investigating European genetic history through computer simulations. Human Heredity, vol. 76, no. 3-4, 142-153. 2013 Riccio M E, Buhler S, Nunes J M, Vangenot C, Cuénod M, Currat M, Di D, Andreani M, Boldyreva M, Chambers G, Chernova M, Chiaroni J, Darke C, Di Cristofaro J, Dubois V, Dunn P, Edinur H A, Elamin0 N, Eliaou J-F, Grubic Z, Jaatinen T, Kanga U, Kervaire B, Kolesar L, Kunachiwa W, Lokki M L, Mehra N, Nicoloso G, Paakkanen R, Papaioannou Voniatis D, Papasteriades C, Poli F, Richard L, Romón Alonso I, Slavcev A, Sulcebe G, Suslova T, Testi M, Tiercy J-M, Varnavidou0 A, Vidan-Jeras B, Wennerström A, Sanchez-Mazas A. 16th IHIW: Analysis of HLA Population Data, with updated results for 1996 to 2012 workshop data (AHPD project report). International Journal of Immunogenetics vol. 40, no. 1, p. 21-30. 2013 Arenas M, Francois O, Currat M, Ray N, Excoffier L. Influence of Admixture and Paleolithic Range Contractions on Current European Diversity Gradients. Molecular Biology and Evolution, vol. 30, no. 1, p. 57-61. 2012 Silva NM, Pereira L, Poloni ES and Currat M. Human neutral genetic variation and forensic STR data. PLoS One, 7 (11). 2012 Pinhasi R, Thomas M G, Hofreiter M, Currat M and Burger J. The genetic history of Europeans. Trends in Genetics, 28 (10), 496-505. 2012 Sanchez-Mazas A, Lemaître, J-F, Currat M. Distinct evolutionary strategies of human leucocyte antigen loci in pathogen-rich environments. Philosophical Transactions of the Royal Society B: Biological Sciences, 367, 830-839. 2012 Arenas M, Ray N, Currat M, Excoffier L. Consequences of Range Contractions and Range Shifts on Molecular Diversity. Molecular Biology and Evolution, 29(1): 207-218. 2011 Currat M, Excoffier L. Strong reproductive isolation between humans and Neanderthals inferred from observed patterns of introgression. Proceedings of the National Academy of Sciences USA, 13;108(37):15129-34. 2011 Gerbault P, Liebert A, Yuval I, Powell A, Currat M Burger J, Swallow D M, Thomas M G. Evolution of lactase persistence: an example of human niche construction. Philosophical Transactions of the Royal Society B: Biological Sciences, Vol 366(1566): 863-877. 2010 Currat M, Poloni ES, Sanchez-Mazas A. Human genetic differentiation across the Strait of Gibraltar. BMC Evolutionary Biology 10:237. 2010 Estoup A, Baird SJE, Ray N, Currat M, Cornuet J-M, Santos F, Beaumont MA, Excoffier L. Combining genetic, historical and geographical data to reconstruct the dynamics of bioinvasions: application to the cane toad Bufo marinus. Molecular Ecology Resources 10(5), 886-901. 2010 Schneider N, Chikhi L, Currat M, Radespiel U. Signals of recent spatial expansions in the grey mouse lemur (Microcebus murinus) BMC Evolutionary Biology 2010, 10:105. 2010 Francois O, Currat M, Ray N, Han E, Excoffier L and Novembre J. Principal Component Analysis under Population Genetic Models of Range Expansion and Admixture. Molecular Biology and Evolution 27(6):1257-1268. 2010 Nunes JM, Riccio ME, Buhler S, Di D, Currat M, Ries F, Almada AJ, Benhamamouch S, Benitez O, Canossi A, Fadhlaoui-Zid K, Fischer G, Kervaire B, Loiseau P, Muniz de Oliveira DC, Papasteriades C, Piancatelli D, Rahal M, Richard L, Romero M, Rousseau J, Spiroski M, Sulcebe G, Middleton D, Tiercy J-M, and Sanchez-Mazas A. Analysis of the HLA population data submitted to the 15th International Histocompatibility/Immunogenetics Workshop by using the GENE[RATE] Computer tools accommodating ambiguous data (AHPD project report). Tissue Antigens Published Online: 22 Mar 2010. 2009 Gerbault P, Moret C, Currat M, Sanchez-Mazas A. Impact of Selection and Demography on the Diffusion of Lactase Persistence. PLoS One 4(7):e6369. 2009 Alshamali F, Pereira L, Budowle B, Poloni E, Currat M. Local Population Structure in Arabian Peninsula Revealed by Y-STR diversity. Human Heredity 68:45-54. 2008 Currat M, Ruedi M, Petit RJ & Excoffier L. The hidden side of invasions: massive introgression by local genes. Evolution 62(8) 1908-1920. 2008 Neuenschwander S, Largiader CR, Ray N, Currat M, Vonlanthen P & Excoffier L. Colonization history of the Swiss Rhine basin by the bullhead (Cottus gobio): Inference under a Bayesian spatially explicit framework. Molecular Ecology 17(3) 757-772. 2006 Wegmann D, Currat M & Excoffier L. Molecular Diversity After A Range Expansion In Heterogeneous Environments. Genetics, 174: 2009-2020. 2006 Klopfstein S, Currat M, Excoffier L. The fate of mutations surfing on the wave of a range expansion. Molecular Biology and Evolution, 23(3): 482-490. 2005 Ray N, Currat M, Berthier P, Excoffier L. Recovering the geographic origin of early modern humans by realistic and spatially explicit simulations. Genome Research, 15: 1161-1167. 2005 Hamilton G, Currat M, Ray N, Heckel G, Beaumont M, Excoffier L. Bayesian estimation of recent migration rates after a spatial expansion. Genetics, 170: 409-417. 2005 Currat M and Excoffier L. The effect of the Neolithic expansion on European molecular diversity. Proceedings of the Royal Society London B. 272, 679-688. 2004 Currat M and Excoffier L. Modern Humans did not admix with Neanderthals during their range expansion. PLoS Biology, Vol. 2, No. 12, e41. 2004 Currat M, Ray N, Excoffier L. SPLATCHE: A program to simulate genetic diversity taking into account environmental heterogeneity. Molecular Ecology Notes, Volume 4, Issue 1, Page 139-142. 2003 Ray N, Currat M, Excoffier L. Intra-deme molecular diversity in spatially expanding populations. Molecular Biology and Evolution, 20(1):76-86. 2002 Currat M, Trabuchet G, Rees D, Perrin P, Harding RM, Clegg JB, Langaney A and Excoffier L. Molecular analysis of the Beta-Globin gene cluster in the Niokholo Mandenka population reveals a recent origin of the HbS Senegal mutation. American Journal of Human Genetics, 70:207-223. 2010 Ray N, Currat M, Foll M & Excoffier L. SPLATCHE 2 SPatiaL And Temporal Coalescent in a Heterogeneous Environment. 2004 Currat M, Ray N & Excoffier L. SPLATCHE A program to simulate genetic diversity taking into account environmental heterogeneity. 2014 Excoffier L, Quilodran CS & Currat M Models of hybridization during range expansions and their application to recent human evolution. in 'Cultural Developments in the Eurasian Paleolithic and the Origin of Anatomically Modern Humans' edited by Derevianko AP & Shunkov M. Dept. of the Institute of Archaeology and Ethnography SB RAS. Pp. 122-137. 2014 Arenas M, Mona S, Trochet A, Hanulova AS, Currat M, Ray N, Chikhi L, Rasteiro R, Schmeller DS, Excoffier L. The scaling of genetic diversity in a changing and fragmented world, in "Scaling in Ecology and Biodiversity Conservation", eds. Henle K, Potts SG, Kunin WE, Matsinos YG, Similä J, Pantis JD, Grobelnik V, Penev L, Settele J. Pensoft Publishers, Sofia, 55-60. 2012 Currat M. Consequences of population expansions on European genetic diversity, in "Population Dynamics in Prehistory and Early History: New Approaches Using Stable Isotopes and Genetics", eds. J. Burger, E. Kaiser & W. Schier. (Topoi / Berlin Studies of the Ancient World 5.) Berlin: Walter de Gruyter & Co, 3-15. 2011 Excoffier L, Currat M. Models of hybridization during range expansions and their application to recent human evolution, in Characteristic features of the Middle to Upper Paleolithic Transition in Eurasia, eds A.P. Derevianko, M.V. Shunkov, Russian Academy of Sciences, 90-99. 2008 Excoffier L, Ray N & Currat M. Where was paradise? A simulation study of the spread of Early Modern Humans in heterogeneous environments, in "Simulations, Genetics and Human Prehistory", eds. S. Matsumura, P. Forster & C. Renfrew. (McDonald Institute Monographs.) Cambridge: McDonald Institute for Archaeological Research, 9-18. 2008 Currat M, Excoffier L & Ray N. Genetic simulations of population interactions during past human expansions in Europe, in "Simulations, Genetics and Human Prehistory", eds. S. Matsumura, P. Forster & C. Renfrew. (McDonald Institute Monographs.) Cambridge: McDonald Institute for Archaeological Research, 37-47. 2008 Ray N,Currat M & Excoffier L. Incorporating environmental heterogeneity in spatially-explicit simulations of human genetic diversity, in "Simulations, Genetics and Human Prehistory", eds. S. Matsumura, P. Forster & C. Renfrew. (McDonald Institute Monographs.) Cambridge: McDonald Institute for Archaeological Research, 103-17. 2014 Di D, Sanchez-Mazas A, Currat M. Computer simulation of HLA genes supports two main routes of colonization by human populations in east Asia. Tissue Antigens, 84(1), 128-128. 2008 Currat M, Sanchez-Mazas A. How selection at HLA-DRB1 affects population differentiation: a case study at the strait of Gibraltar. Tissue Antigens 72(3), 227-313. 2008 Cherry L, Perrin P, Currat M, Calo C, Talmaci R, Dan L, Coriu D, Gavrila L. RFLP linked markers used to infer the origin of beta-thalassemia mutations in Romanian population. Haematologica-The Hematology Journal 93, 341. 2004 Currat M. Effets des expansions des populations humaines en Europe sur leur diversité génétique. Thèse de doctorat (PhD) en Science (mention Biologie), laboratoire LGB, Département d'Anthropologie et Ecologie, Université de Genève, Suisse. 1999 Currat M. Etude de la variabilité allozymique des Valaisans et des Walsers. Diplôme (Master) en biologie, laboratoire LGB, Département d'Anthropologie et Ecologie, Université de Genève, Suisse.